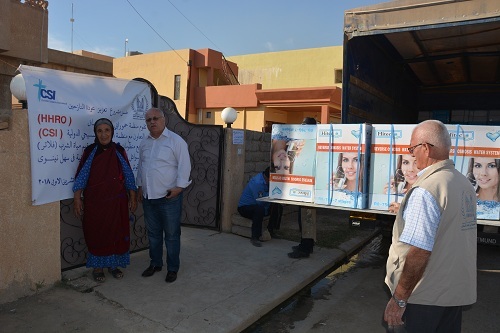 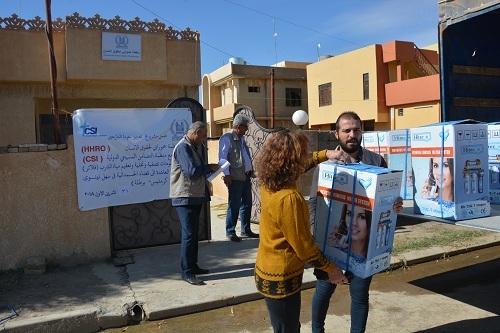 The efforts of the humanitarian relief team of Hammurabi Human Rights Organization continued to distribute (435) drinking water purification and desalination systems to serve (1200) family in the center of Al-Hamdaniya district. 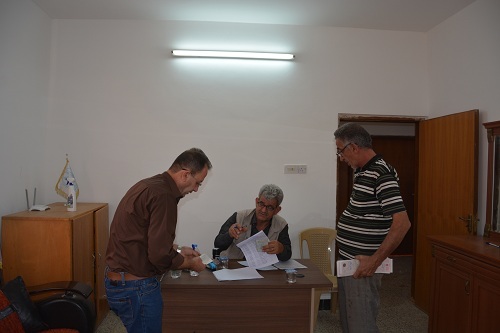 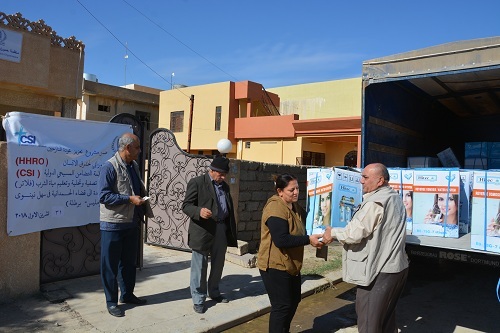 The distribution process took place at the headquarters of Hammurabi Human Rights Organization in Al-Hamdaniya district from 25 November to 31 of 2018. 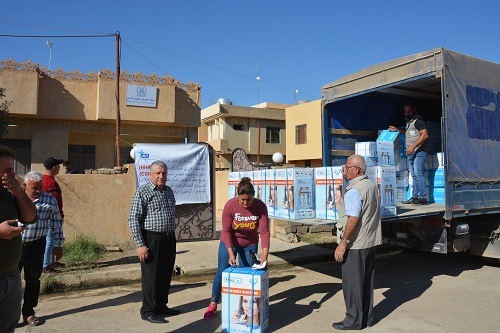 The relief team included Mr. Louis Marcos Ayoub, Vice President of the Organization, Mr. William Warda member of the Board of Directors and public relations officer of the organization and,Yohanna Yousef Tawaya head of the organization's branch in Erbil, Amer Ayoub, Faris Jarges, Farhan Yousef, Yousef Ishaq, Ameer Saed Malallah members of the General Board and the activist Shamouel . 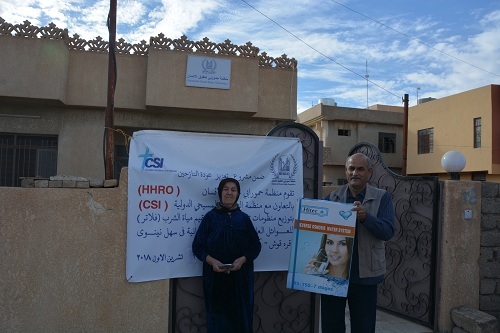 This humanitarian relief comes with the support of Christian Solidarity International CSI in order to support the return of displaced people and immigrants to home and to meet their basic home needs, as Hammurabi Human Rights Organization HHRO has recognized a necessity of life for the protection of the public health.